McALISTERVILLE — Stony Run Mission will hold a combined morning service at 9:15 a.m. Sunday. There will be no evening service. BURNHAM — A hymn sing will be held from 6 to 7 p.m. Sunday at Windy Hill Bible Church, 22 Windmill Hill Road, Burnham, across from Super 8 motel. Fellowship and light refreshments will be available afterward. LEWISTOWN — The Locust Waterside Campground Chapel, near the industrial park in Lewistown will begin its special summer chapel services at 10 a.m. Sunday. Singer Paul Zook will provide a program of inspirational music for the service. There will be special music each Sunday during the summer. All campers and the public are invited to attend. LEWISTOWN — Joy Seekers Bible study will not be meeting on Monday at the Lewistown Presbyterian Church on Third Street, Lewistown. For more information, call (717) 543-3324. McCLURE — Romanian missionary and professionally trained opera singer Ciprian Droma will lead in a concert of hymns at 6 p.m. Wednesday at Mout Bethel Church of McClure. The church is located at 16 E. Specht St., McClure. The event is free to the public. For more information, call (570) 658-3568. 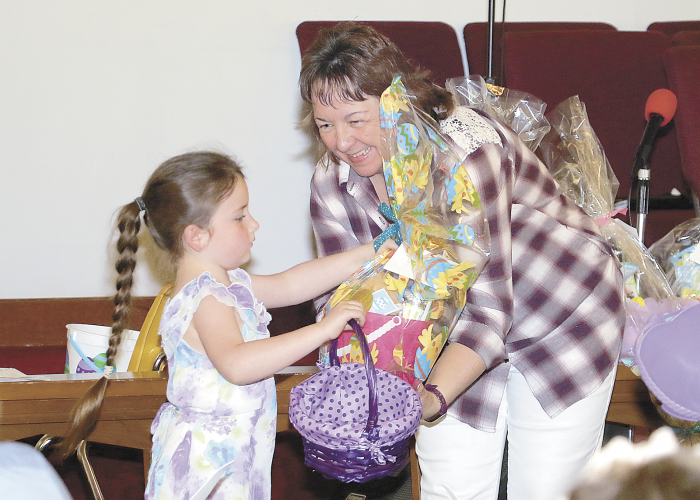 LEWISTOWN — Summer Wednesday programs at First Baptist Church, 111 E. Third St., Lewistown, will begin on May 30. There will be be three half-hour sessions from 6:30 to 8 p.m.
Period 1 — 6:30 to 6:55 p.m. will be Bible study or topical presentation. Children will have separate learning time. Kathy Stump will conduct Bible study classes in June classes for children 6 to 11 years old. Period 2 — 7 to 7:25 will be prayer time. Pastor Stump will lead adults, Kathy Stump will lead children. Period 3 — 7:30 to 8 p.m. will be refreshment time. There will be outdoor games in the church yard and indoor games in the Fellowship Hall, along with light refreshments. McALISTERVILLE — Triumphant Quartet will be in concert at 7:30 p.m. Thursday at Bunkertown Church of the Brethren, 52 Bunkertown Road, McAlisterville. A freewill offering will be taken. McALISTERVILLE — Triumphant Quartet will be in concert at 7:30 p.m., Thursday at Bunkertown Church of the Brethren, 52 Bunkertown Road, McAlisterville. A freewill offering will be taken. McALISTERVILLE — The Needham’s will be singing during the 6 p.m. service at Stony Run Mission on June 3. MIDDLEBURG — Two music groups will perform during an outdoor gospel music concert on June 3 at St. Paul’s (Erdley’s) Lutheran Church, 2337 Erdley Church Road, Middleburg. Mended Heart will perform at 2 p.m. and Wehry Family will perform at 4 p.m. The event will be held outside in the picnic grove. Bring a lawn chair. Refreshments will be served. In case of inclement weather, the concert will be held inside. Donations of nonperishable food items will be collected for a local food bank. Call (570) 374-5535 for more information. MIFFLINTOWN — Lost Creek Mennonite Church, Mifflintown is hosting Summer Art Camp from 6:30 to 8:30 p.m. June 18 to 20. Five art classes are available for children through adults. Limited seating is available. For more information, visit www.LostCreekMennoniteChurch.org and preregister for each class by June 4. McALISTERVILLE — A Children’s Day service will be held at 10:15 a.m. June 10 at Stony Run Mission with Don Townsend. MIFFLINTOWN — A summer day camp, sponsored by Centre Lutheran Church, Mifflintown, in partnership with Camp Mount Luther, will be held 9 a.m. to 3 p.m. June 18 to 22 at the church. Youth who recently completed kindergarten through sixth grades are invited to experience outdoor ministries close to home. Staff at Camp Mount Luther and volunteers from the congregation will be on hand to bring fun, fellowship and the love of God through a day camp program. The program includes games, sports, Bible study, singing crafts and worship. For more information and to register, call (717) 436-8916. Preregistration is requested by June 13. A fee of $10 is due with registration. Financial aid is available. REEDSVILLE — Church Hill United Methodist Church, located at 199 Woodland Circle, Reedsville, will hold a yard sale 8 a.m. to 12:30 p.m. June 9 at the church. All are welcome. Proceeds benefit the church missions. REEDSVILLE — Reedsville United Methodist Church will hold a free movie night at 6:30 p.m. June 10. The film, “A Question of Faith,” will be shown. Refreshments will be served. McALISTERVILLE — A combined Father’s Day service will be held at 9:15 a.m. June 17 at Stony Run Mission with Nancy Ely sharing. There will be no evening service.